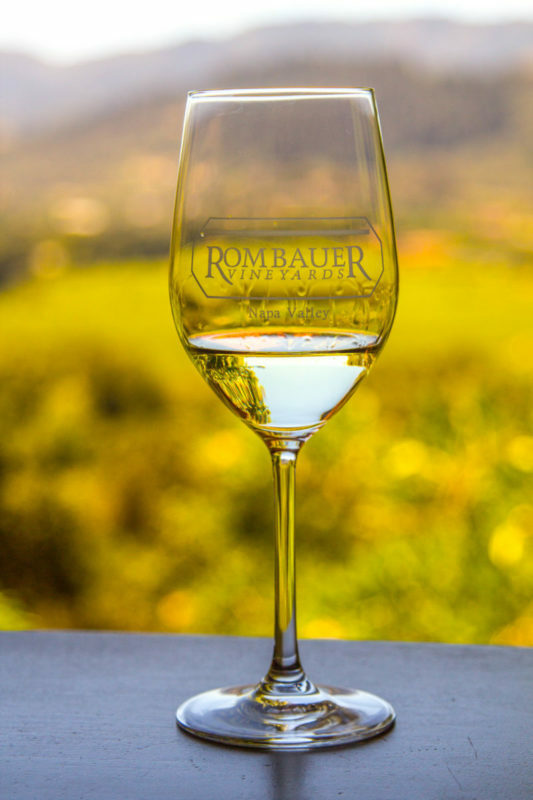 The Rombauer name is pretty much synonymous with California Chardonnay. I think many people in the wine trade hold that particular Chardonnay up as the classic and standard with which to compare all others. It has been a go to bottle for us when selecting an easy to drink, yet delicious bottle as a gift. It is one you can never go wrong with. The Brit comments: I have heard Rombauer described as the Chardonnay for red-wine drinkers; a reflection of the complex flavour it offers; balancing fruit and bold oak in harmony. When The Brit and I received our invitation to visit Rombauer, we were so happy to be able to go taste their Chardonnay. We really knew nothing about them other than that. We had zero experience of any of their other wines. Boy were we in for a huge surprise. 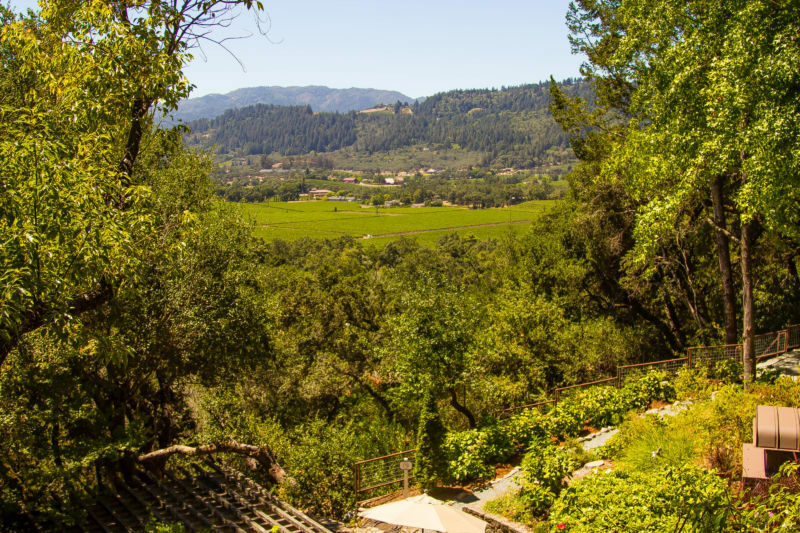 The property sits on top of a hill with spectacular views of Napa Valley. It would be stunning for that aspect alone. 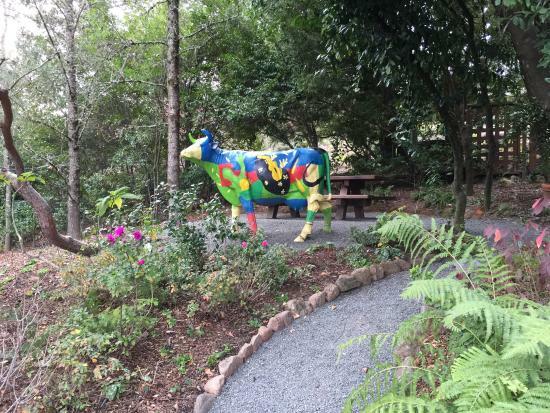 However, the property has amazing gardens and sculptures as well to make the visit that much more beautiful. 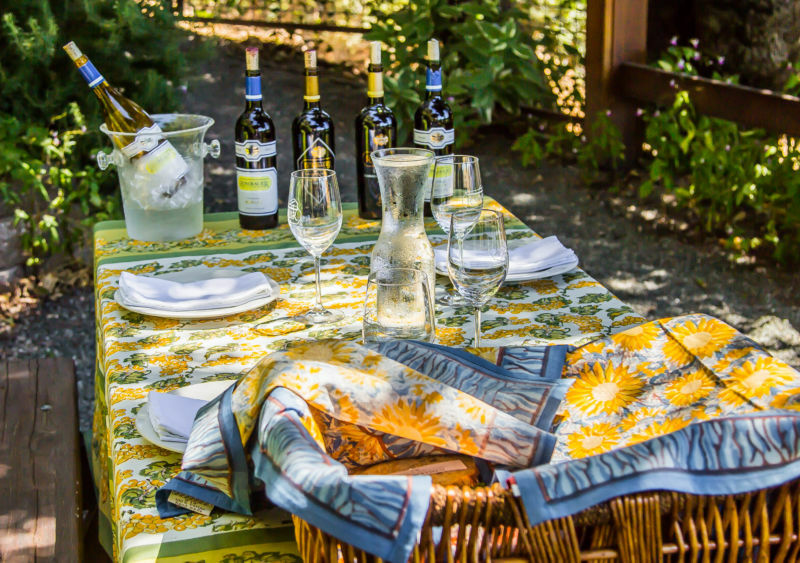 This is one of the few properties in Napa Valley where you can bring a picnic and enjoy their wines. They tell me that tables are available on a first come first serve basis. I am really looking forward to enjoying an afternoon picnic there with friends. It is truly a special place. 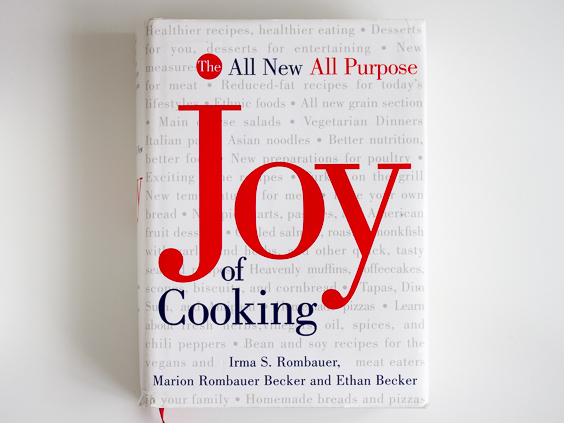 One of the interesting things we learned as we visited the property is that the owner Koerner Rombauer’s aunt wrote the original “Joy of Cooking” cookbook. For me as an at home chef, I can’t begin to tell you just how highly regarded that book is and how many consider it the cooking bible. I have had my copy since I was about 18 years old, and it is well used, dog eared and probably needing an update. It is such a classic. You can learn more about this cookbook and get inspirations and recipes here. We met with Brandye Alexander who is the Director of Marketing, and Richie Allen who is the Director of Viticulture and Winemaking. Originally from Australia, Richie started off working at Rombauer as a wine-making intern over several summers and worked his way up. He’s a very impressive and energetic guy. I was tired just watching him move. He told us that he’s often up before sunrise and still answering his emails after midnight; talking with him for just a little while I can believe it. Rombauer has a big internship program that brings young aspiring winemakers from all over the world to gain hands-on experience working through the harvest. This allows Rombauer to find the best talent for open positions. I love that they are utilizing the skills and experience of young people from different cultures, languages and backgrounds. I am sure that it benefits their wine making process with the infusion of new ideas. We had the opportunity to tour the property and see the entire working operation. One of the things that impressed me was the technology that they are utilizing. Everything is done in a very high tech way, starting with the use of their two onsite optical sorters for the grapes, down to tagging each barrel with bar codes, and even moving walls to control temperature around their cellar. We also walked through Richie’s outer office area, which looks more like a mad scientist’s chemistry lab than what one would imagine a wine maker’s office to look like. Even though the operation is run in a very organized and high tech manner, you can feel the passion that is put into the wine. It isn’t a soulless process. Richie is very respectful of the grapes and the environment in which they grow. He is also very particular in the sites he selects to grow his grapes and the conditions in which they are grown. Only the finest of the crop goes into what he produces. He told us the rest goes to very expensive compost. He has very firm ideas about how things should be done. I have to say, it works for Rombauer really well. I also find it very interesting that they don’t skimp on quality of their grapes and ingredients yet they manage to keep their wines at an affordable level for everyone to be able to enjoy. 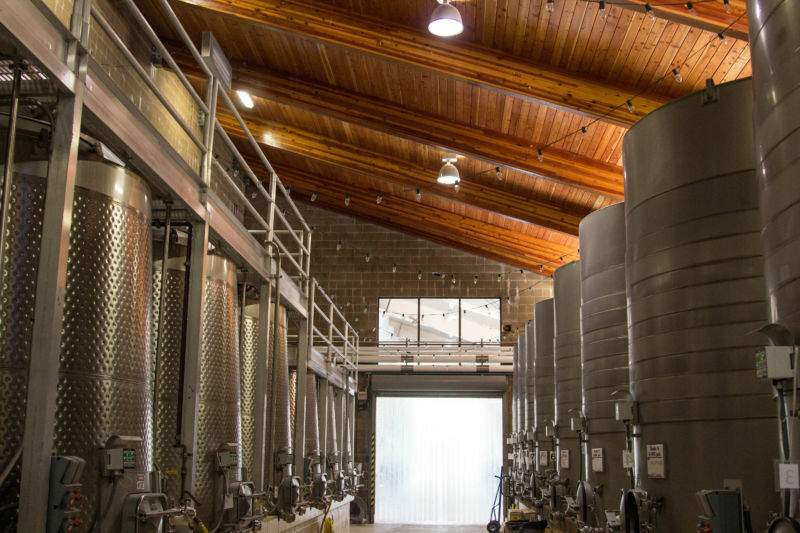 There is a great story about the El Dorado Zinfandel that they produce. The vines are over 100 years old. 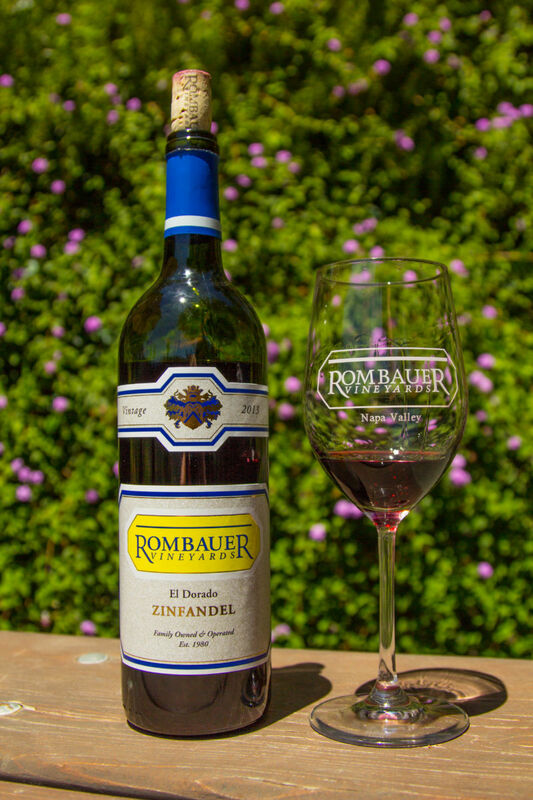 Rombauer had a contract with the owner of those vines for many years but there was a dispute and there was a parting of the ways so they no longer made Zinfandel with those grapes. Years later, Mr. Rombauer found that the vineyard had been repossessed. He immediately bought the vineyard. Richie advised against it as the grapes had sat unattended for five years and the vineyard was overgrown by weeds. Removing weeds without damaging the vines was a lengthy and laborious exercise. It just goes to show how instincts in winemaking win the day because that El Dorado Zinfandel produced from that vineyard is wonderful. The Brit comments: The Zin from this vineyard is only available for sale at the winery. Frankly, it is worth going to Rombauer just for this wine, which is the epitome of jammy Zinfandel; a result of the old vines and the climate in the Sierra foothills. My overall impression of the wines is that they are delicious, affordable and approachable. Of course we loved their Chardonnay; I mean who doesn’t. We found some new favorites in our tasting and we were very enthusiastic about the entire line up. First up was their Sauvignon Blanc. I am beginning to think I need to retract my statement about Sauvignon Blanc. It’s not that I don’t enjoy it, I don’t enjoy bad or mediocre versions of it. 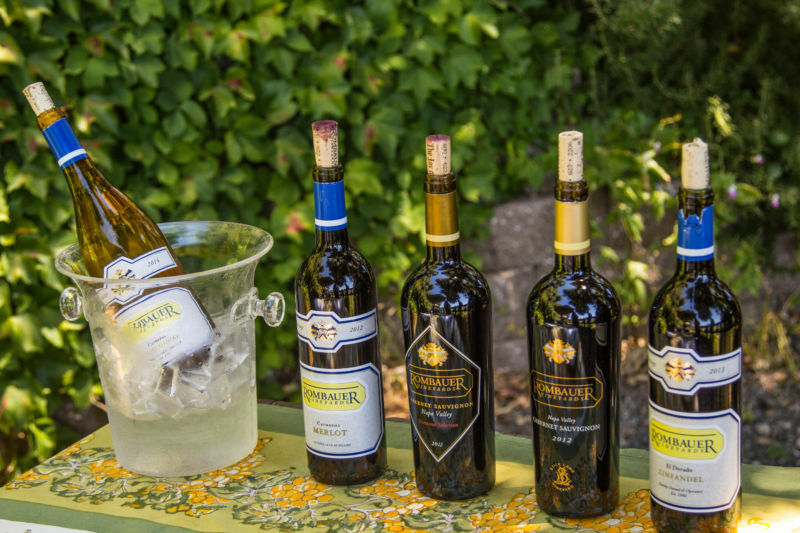 There were no worries when it came to the 2014 vintage at Rombauer. It was a great sip. They have a lovely Merlot that for me is a great little every night wine. It has nice flavor and lots of character. I did purchase another version of their regular Zinfandel in the retail market and while it is good, full fruits and extremely jammy, it doesn’t have the same quality as the beautiful El Dorado version. However, saying that, I have found a new wine to serve to my friends who like sweeter wines and don’t normally drink reds. This one fits the bill perfectly. If you have a friend or family member who usually grabs for the White Zin, this is a great alternative and you won’t have to be ashamed to have it in your home. The Brit comments: In contrast to my earlier description of their Chardonnay, their retail Zin is a red for sweet white wine drinkers. We tasted two Cabernet Sauvignons that were delicious. The reserve was outstanding but on the expensive side. It is only available at the vineyard property. Just another excuse to go for a visit. It is worth the trek! 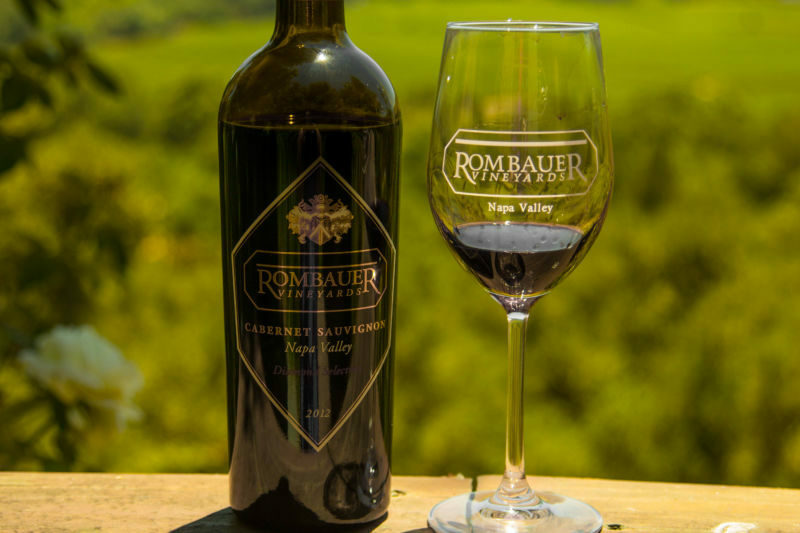 The best news is that you can find Rombauer wines just about everywhere that sells fine wine if you can’t make it out to their beautiful winery and vineyard property. Even our readers in North Carolina can get their hands on some locally. They sell the same products retail for the most part (aside from special releases) that they do in their vineyard. 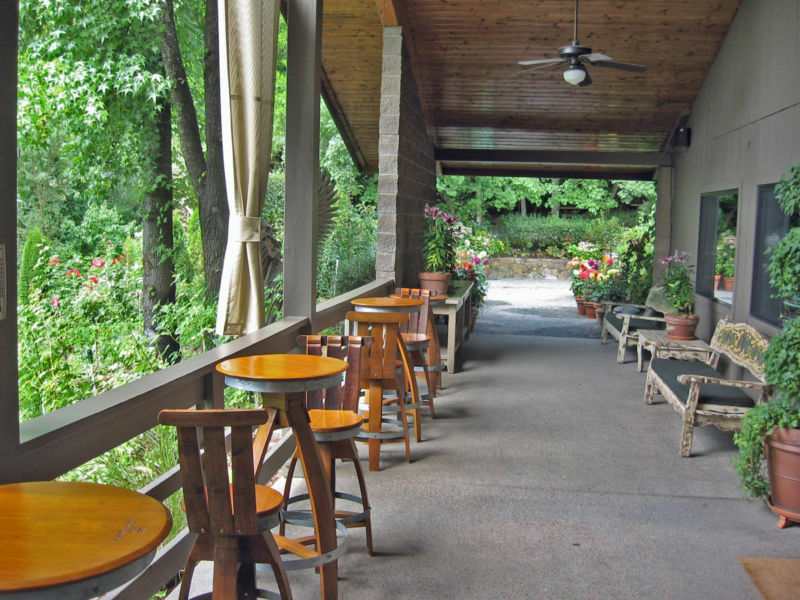 This winery has landed on my list of “consider joining” for their wine club. I loved all of the wines, and the atmosphere of the place is great. Having met Brandye, I am sure that the wine club events are fun too. For more information about joining their wine club click here. The Brit comments: Romabuer have a wide range of wine clubs. They offer clubs for people who wish to buy only Chardonnay, Zinfandel, Cabernet Sauvignon, or dessert wines. They also have a more traditional club which offers a mix of their wines, but even here they break from the norm with the club starting at three annual shipments of two bottles. This means that your yearly commitment is just six bottles; in contrast to the dozen which is the standard with Napa wine clubs. We love this place and plan on returning as new releases come out. 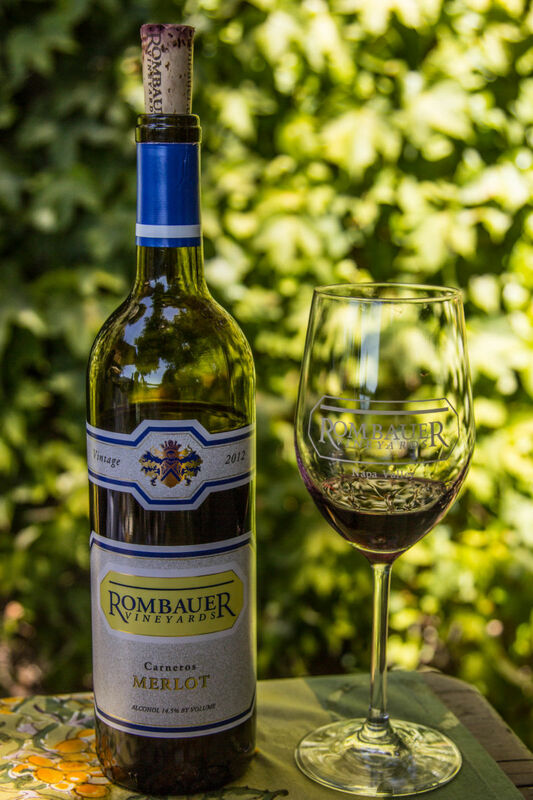 Take a picnic and go enjoy the beauty and the amazing wines at Rombauer.